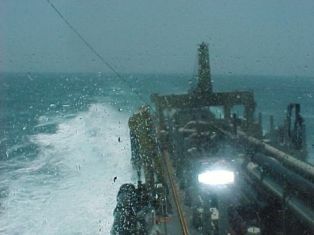 During dredging operations in South Korea, we had to dredge sand in the open sea, in conditions of waveheights and swell that were worse than normally experienced. Dredging is pre-eminently a business that has evolved from the protection of harbours, rivers towards open-sea conditions. Open sea is not the normal habitat for dredgers and their crew. By observing the weather conditions, and matching them with the capabilities of the ship, we managed to push the weather envelope.